Managing Director is responsible for strategy, project definition, sales and new partners. He is an entrepreneur with over 20 years of experience in the technology sector. Mr. Kiss founded successful engineering and technology consulting companies before setting up ConsultAsk. He was responsible for several long-term R&D projects in industrial data acquisition systems, imaging and medical instrumentation, consulting in project management and industrial application projects, including setting up a joint venture with Boehringer Mannheim for its laboratory diagnostic development project in the early 90s, several GE Lighting Europe projects, setting up, managing and restructuring of ventures related to his previous endeavors. He is a graduate of the Budapest University of Technology with M.Sc. degrees in Electrical and Mechanical Engineering and holds several post-graduate degrees in engineering and an MBA from Purdue University, USA and ESC Rouen. He is fluent in English and French and holds medium level exam in Russian. CFO is responsible for financial operations of the group. Mr. Jakab has managed financial reporting at ASK Kft. and was CFO of ASK Industrial Systems Kft., two companies established by Mr. Kiss before becoming a co-founder of the regional Nokia Repair Center companies and ConsultASK. 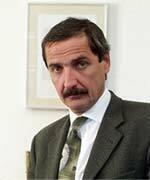 Mr. Jakab has a degree in finance and economics and an MBA from the Budapest University of Economic Sciences. Besides English he speaks also Spanish and some Italian. Development Director is responsible for leading the development team and coordinating the work and deliverables of the different groups, such as the Mechanical & Optical development team, the scientific team, the clinical laboratories, the software development team, etc. Prior to co-founding Mobil Ask and ConsultASK 15 years ago, Ms. Czoboly had over 15 years of experience in the management of technology projects including heading the R&D laboratory at ASK Ltd. and managing several consulting projects for GE Lighting/ Tungsram. 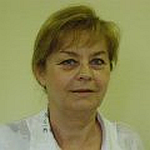 Ms. Czoboly holds a PhD from Budapest University of Technology and a post-graduate degree in Informatics Management from Budapest University of Economic Sciences. CIO is responsible for the IT communications infrastructure and all the software platforms of ConsultAsk. Mr. Fördős worked as a software developer, programmer, IT project manager, IT consultant for GE as part of ASK Kft. Later he designed all LAN and optical networks, the communications and monitoring systems connecting the Repair and Logistics divisions and the integrated business management and reporting systems of Mobil Ask Group. Mr. Fördős holds an MSc from Budapest University of Technology in electrical Engineering and an MBA from Budapest University of Economic Sciences. 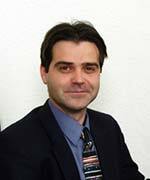 Scientific Advisor Dr. Ákos Somoskövi earned his MD degree in 1993 and his PhD in 1999 from the Albert Szent-Györgyi University of Medical Sciences in Szeged, Hungary. In 2004, he was awarded a Doctor of Science degree by the Hungarian Academy of Sciences. After graduation, he joined the Department of Respiratory Medicine, School of Medicine, Semmelweiss University in Budapest, Hungary where he was appointed Associate Professor in the Department of Respiratory Medicine, School of Medicine. 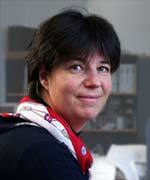 Between 2001 and 2002, Dr. Somoskövi was a research fellow at the Bloomberg School of Public Health, Johns Hopkins University, Baltimore, Maryland. 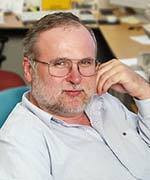 Between 2005 and 2006, he also had the privilege to be Associate Director of the Clinical Mycobacteriology Laboratory, Wadsworth Center, New York State Department of Health in Albany, N.Y. Until joining Foundation for Innovative New Diagnostics (FIND, Geneva) in 2009, he worked in the International Laboratory Branch of the Global AIDS Program at CDC in Atlanta. Today, he is working for the Swiss National Reference Center for Mycobacteria in Zurich. Dr. Somoskövi is Board Certified in respiratory medicine and clinical oncology, with broad experience in clinical management, epidemiology and laboratory diagnosis of tuberculosis.